For my family the backyard is an extension of our home. I love to sit outside near the garden, put my feet up and relax. Nothing is more fun to be in the fresh air, birds chirping and my son running around the yard with the dog. As the summer comes to an end we are happy for the memories and love to celebrate the summer with one last party. Labor Day marks the official wind down of summer but since we have great weather until late September it also is a reminder to have as much fun as we can until the rain starts. Many of our friends have kids that start school and Labor Day is a great time to have a last fun party of the summer. Before my son was born a few years ago we would have a Labor Day party at our local river. With a toddler and friends that also have small kids its much more fun to have an at home Outdoor Party. 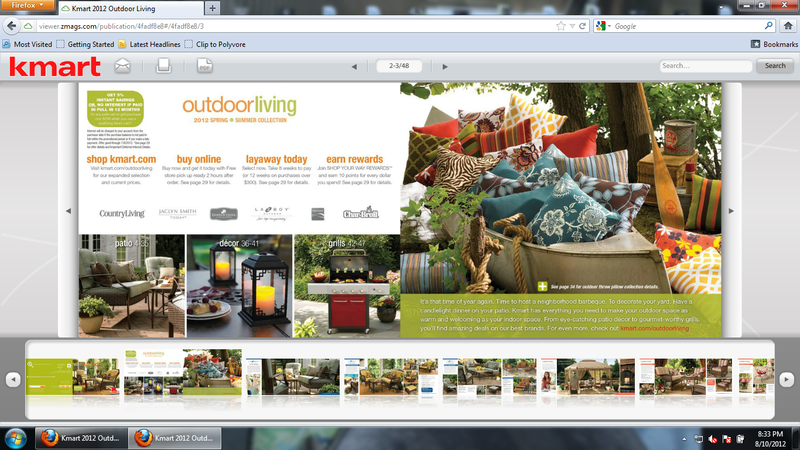 Having the right outdoor living items can make a party a success. For my family we have a small bbq but for a party we would love one of the big grills from Kmart. 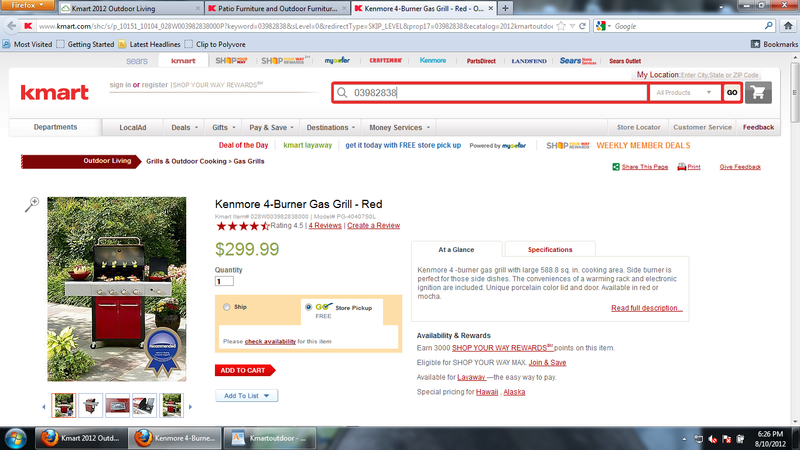 I read a few reviews of the items and would love to have the red Kennmore 4 burner grill. 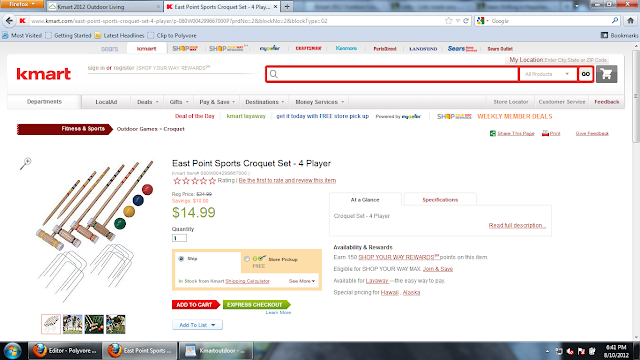 Red is my favorite color for this summer and Kmart has many great items to go along with my color scheme. Right now my back yard has a pool, two garden beds and scattered seating. For a perfect party a new dining set, a gazebo, a grill and a swing would be wonderful. A nice grill is the prefect way to serve food at an outdoor party. Ribs, steak, corn, veggie kabobs and even grilled watermelon are delicious grilled summer food. For the kids a croquet set, shaved ice maker and a smores basket would keep them happily entertained. I have wonderful memories as a kid using our shaved ice maker and playing croquet. Classic outdoor fun! We loved playing this as kids. I forgot about this classic game until I saw it in the background of one page in the Kmart Catalog. 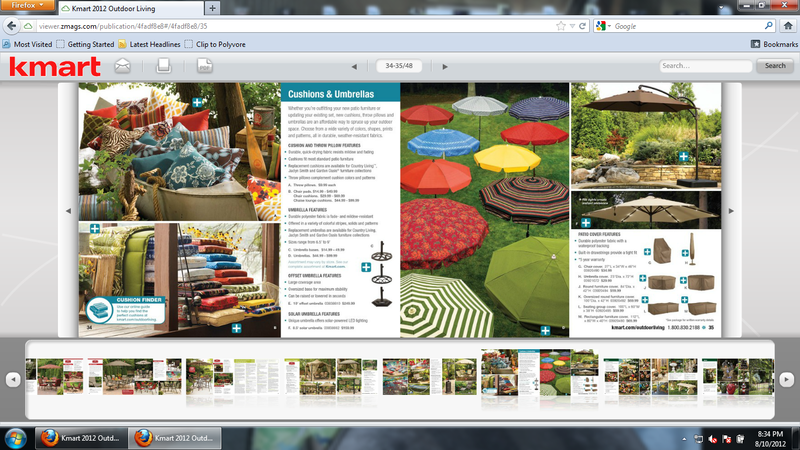 The catalog was full of ideas for summer fun. I looked online at the Kmart Outdoor Living Catalog to get ideas for items we would need for our Perfect Outdoor Labor Day Party. Another great place to get inspiration for your outdoor living space is the Kmart Outdoor Living site that is full of ideas from real people in all design types. 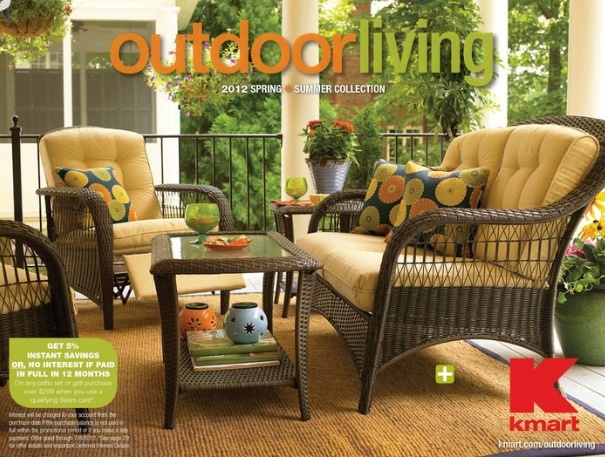 From patio furniture, seating sets, lawn furniture and grills, Kmart brings you amazing deals on great brands and shoppers show you how to arrange them on the Kmart Outdoor Living site. Check it out for great ideas! The color selection at Kmart is great. Many colors to inspire a theme to your outdoor decor. To stay up to date with all the great deals at Kmart and the Shop Your Way Rewards program you can follow them on facebook and twitter. For all my idea inspirations for the Perfect Outdoor Labor Day Party you can read my Google+ story about my online shopping at Kmart. 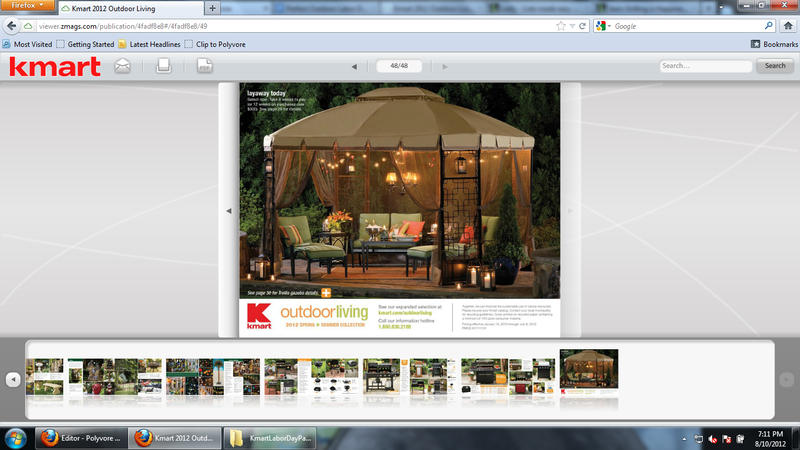 How beautiful is this set up for an Outdoor Living space for your home. Kmart has great ideas and the low prices to make it possible. The end of the summer deals are up to 75% off!! You found some great items! They would be perfect for your Labor Day party!